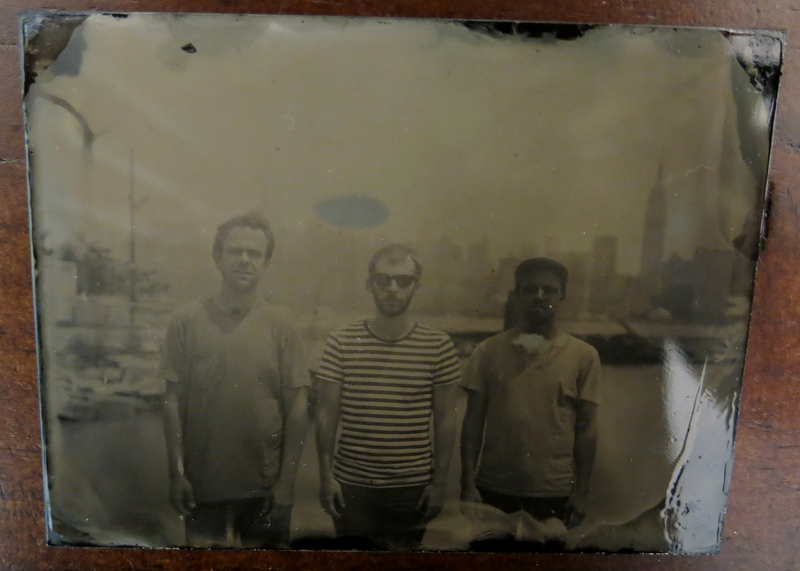 This is an original one of a kind tintype portrait of Kevin Devine & The Goddamn Band. The size of this tintype is 3.75 x4.25. This was shot for the Bubblegum package in brooklyn 2013. One of these may be the actual original tintype that was used in the layout (I don’t have a copy of the album). In a nutshell a Tintype is a photograph exposed on black aluminum. The Images are hand crafted on site in a portable dark room. The process dates back to the 1850′s.